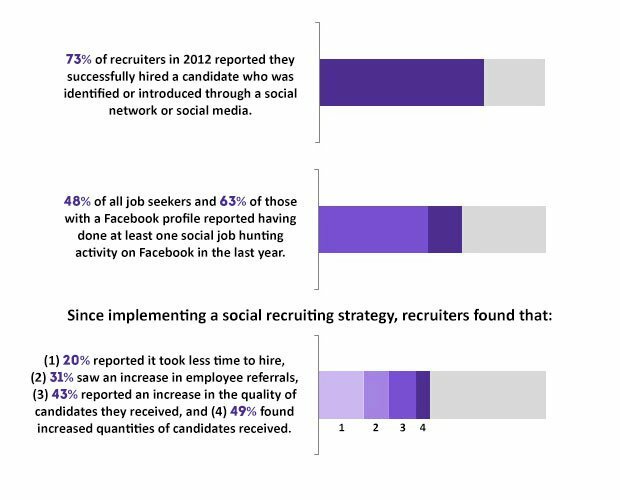 Why is social recruiting such an important topic, and what's the value to your company? 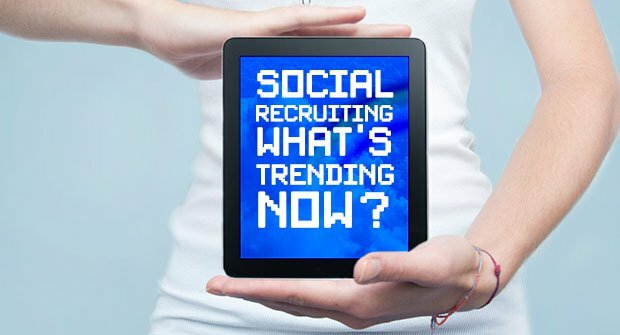 Mike Donoghue, the Senior Director of Mobile, Video & Vertical Strategy at Advance Digital (parent company of Cleveland.com), has teamed up with ERC to answer some of our most pressing social recruiting questions. Over the last few years, Mike and his team have seen rapid growth happening on LinkedIn. As the 'brand-safe outlet', as Mike calls it, LinkedIn provides a platform for talent acquisition that does not require a deeper, personal relationship between company and candidate. Although, he also comments that as professionals become more weary of whom they add to their LinkedIn networks, there will be some decline in usage. Platforms like Google+, Twitter, and Facebook will gain popularity as organizations and individuals become more comfortable interacting and begin developing richer profiles. The benefits for job seekers and employers alike are truly innumerable. As Mike cites, job seekers can really showcase their professional brand by interacting online through social networks. This allows candidates to promote their accomplishments and give employers a sense of who they are, beyond just a cover letter and resume. "Job seekers are consumers of any other type of product or service in everyday life, so they are used to reading user reviews, getting tips and feedback on products and services – you can’t blame them for wanting to pull back the curtain on an organization and understand what it's really like to work there – beyond what the corporate website might have to say." On the employer side, organizations can benefit from using social media to create a better online personality. Utilizing this social 'employment brand', organizations are able to show prospective employees what everyday life is going to be like on the job. Some organizations may have reservations about creating public platforms for discussion online. Mike responds that whether you are a part of them or not, conversations about your organization are taking place. "I’ve found that it is far more beneficial to provide a forum to understand the thought process of your job seekers and to field questions." Engaging with job seekers on a familiar social medium can lead to a more comfortable and personal experience for them. Mike points out that information provided via the corporate website can be unilateral and less valuable to job seekers. "There is a real misconception that if you build a Facebook page (i.e. for talent acquisition), that someone will say something disparaging about the organization. In my experience, this happens very rarely." He explains that since these comments are not anonymous, they can open into great customer service opportunities. Mike notes that a calm response to a complaint will make that organization look open, responsive and human. Are you using the social space to drive your employer brand? "Do you have someone who started as an intern and worked their way up to a management position? Ask them to share their story. It's a nice bit of recognition for them, as well as something many job seekers would find compelling." "There are very few other mediums where, say, a nurse can share an exact job description with everyone they went to nursing school with... and very few venues where you can get the free exposure and tacit endorsement for your company." Low on time and resources? Mike urges that even if an organization can just dedicate one hour a week to their social presence – they can have a successful social recruiting strategy. Similarly, he notes, a good technology partner will consult with you on your organization's goals, your communication strategy, and how they can make your social recruiting efforts that much more of a success. Mobile Recruiting: Is Your Organization Ready?